Good tripods can go really help you take your photography to whole new level. Spending up to $200 on a tripod may seem a little crazy to some; I mean you can go and grab one at your local food store for $50, so why pay up to $200? Do you really want to put thousands of dollars worth of camera equipment on an all plastic tripod? I know I wouldn’t want to do that. The risk is too great. 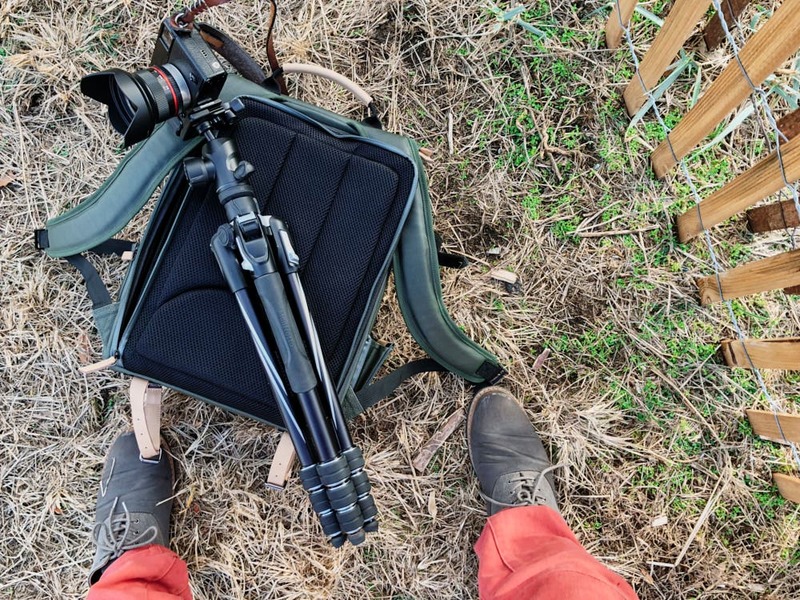 For $200, and in some cases a little less, you can get quality aluminum and carbon fiber tripods that come equipped with ball heads, counter weights, and premium leather coverings that can support up to 17lbs worth of equipment. Quality tripods are worth they’re weight in gold. After the break we’ll show you four tripods that offer incredible value for money. 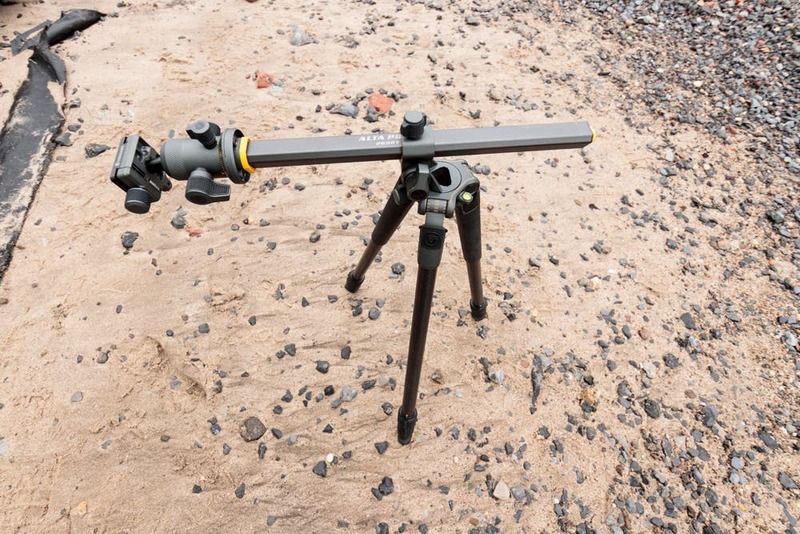 Vanguard have been making quality tripods for a long time and the Vanguard Alta PRO 2+ 263CT is no exception. The Vanguard Alta Pro 2+ is a feature packed tripod with a unique center column that will really help you get creative. The Vanguard Alta PRO 2+ 263CT isn’t the lightest tripod out there, but at 3.6lbs it’s still very manageable, and this is a very sturdy tripod so the extra weight is just fine. 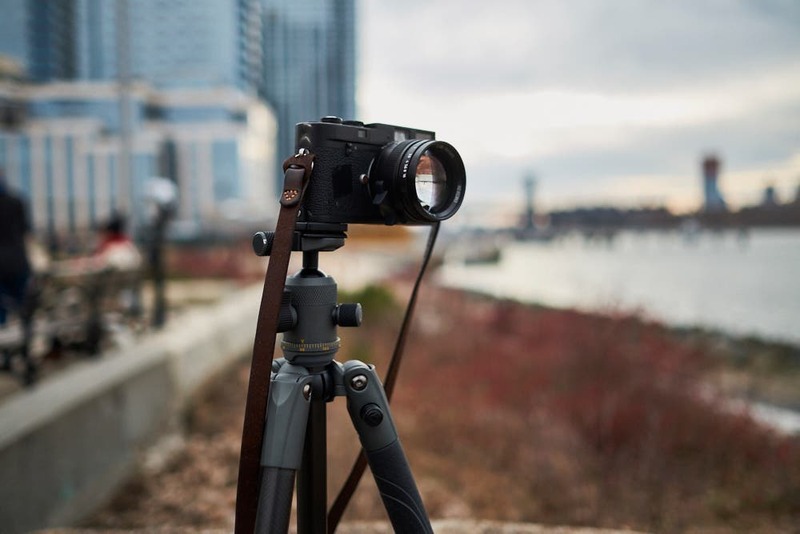 The tripod has a weight capacity of 15.6lbs so you can load up a Full Frame or Medium Format camera and a heavy lens with no problems at all. 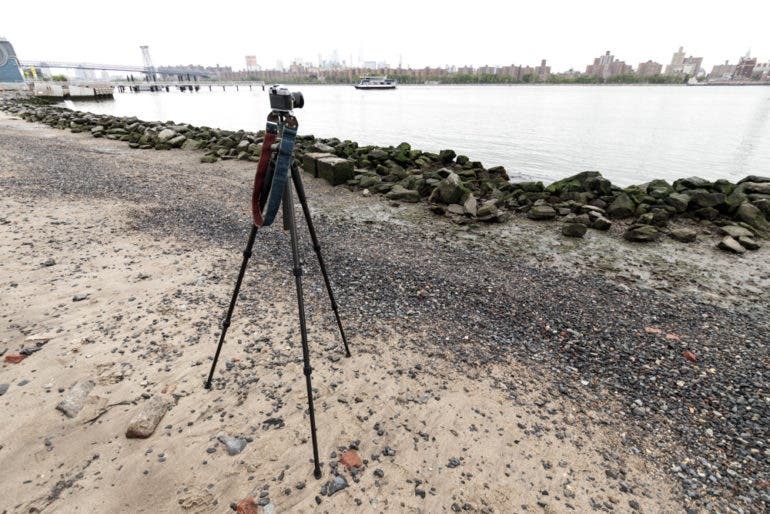 When fully extended the tripod has a height of 63.8 inches, and when collapsed it has a length of 24.6 inches. It’s not the smallest tripod to carry around when it’s fully collapsed so just keep that in mind before you hit the trails with it. 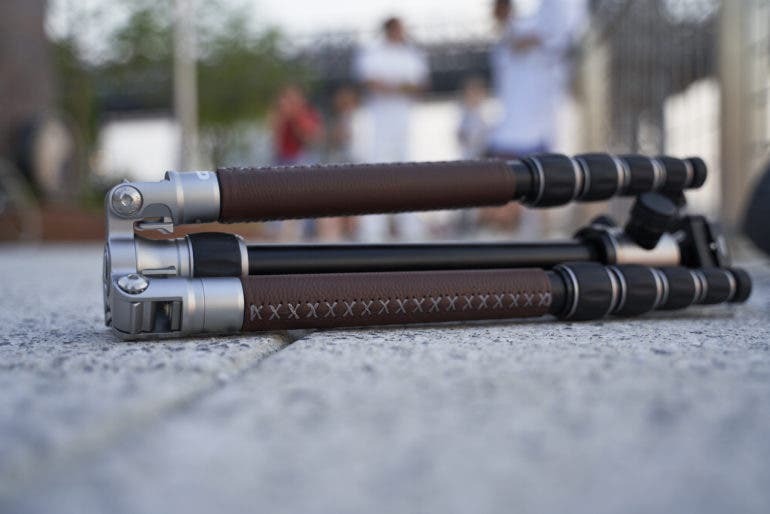 The legs of the tripod are made out of carbon fiber so they offer incredible strength and durability too. One cool feature is that compressed air inside the legs will blow away dirt and sand when the tripod is being collapsed. It’s a small feature, but it’s a nice one. The most unique feature about this tripod is the center column. The MACC (multi angle center column) can be adjusted to just about any angle both positive and negative so there is no reason why you cannot get any composition you desire. The legs can also be positioned at – 20, 40, 60, and 80 degrees. To make the tripod even more stable there is a counter balance mechanism on the center column that will stop the tripod from tipping over when you use it at weird angles. The feet also adjust to the terrain you are on for extra security. The bubble level is large and easy to read too, so keeping your tripod level is easy too. 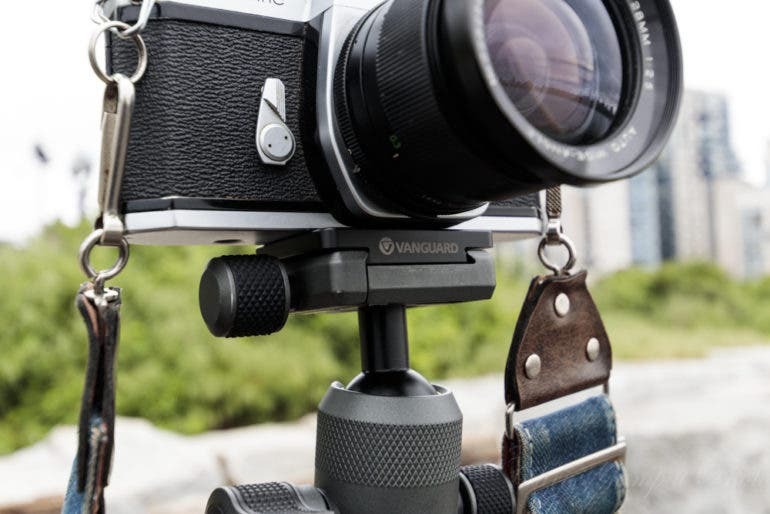 The Vanguard Alta Pro 2+ 263CT is a serious tripod for those who take images in challenging locations and conditions. While it doesn’t come with a ball head, this is still one of the best tripods you can purchase for under $200. 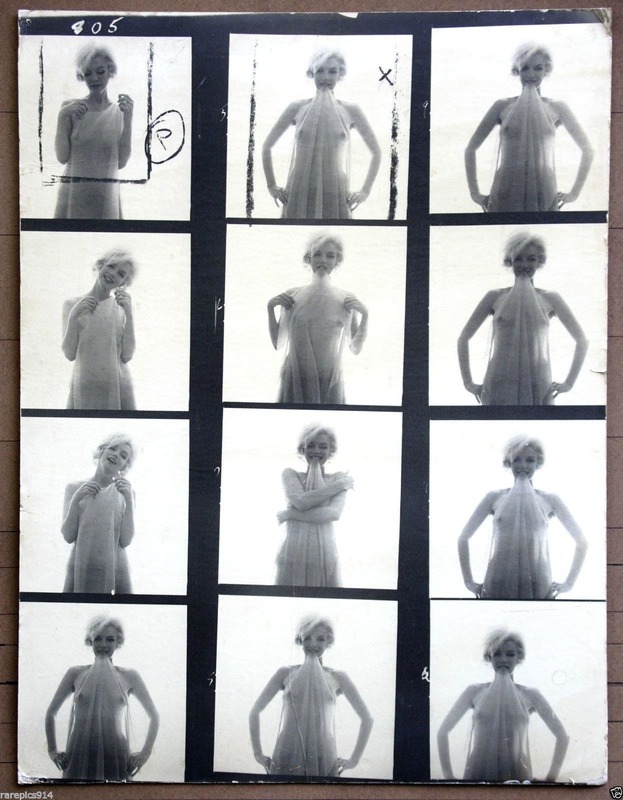 It will most definitely help you compose better images. Pro Tip: Before you head out on the trails make sure you have a basic camera cleaning kit in your camera bag. When in the great outdoors, dirt and debris can easily collect on to the front element of your lens, and if not cleaned off, those pieces of dirt can ruin an image. 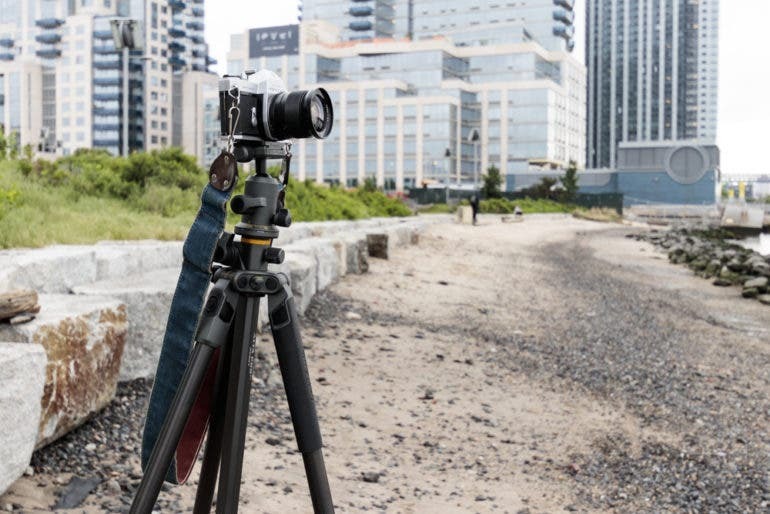 If you’re a photographer who uses lightweight gear, and who needs a tripod that will fold up into a nice small package for travelling, the Manfrotto BeFree Aluminum Travel Tripod is one that you should be taking a closer look at. The BeFree is very affordable, it comes with a ball head, and it’s very easy to use. The Manfrotto BeFree is half a pound lighter than the Vanguard Alta Pro 2+ which makes it that much easier to carry with you. At just a hair over 3lbs, this well built tripod is just that much more manageable. The Manfrotto BeFree is a sturdy tripod, and it will serve any photographer well. If you use a Mirrorless camera and don’t need a tripod that can hold a much larger format camera then this tripod will be plenty. The BeFree can hold 8.8lbs of gear easily. We tested it with the Sony A7R III and the 24-105mm f4 G OSS and had no issues at all. 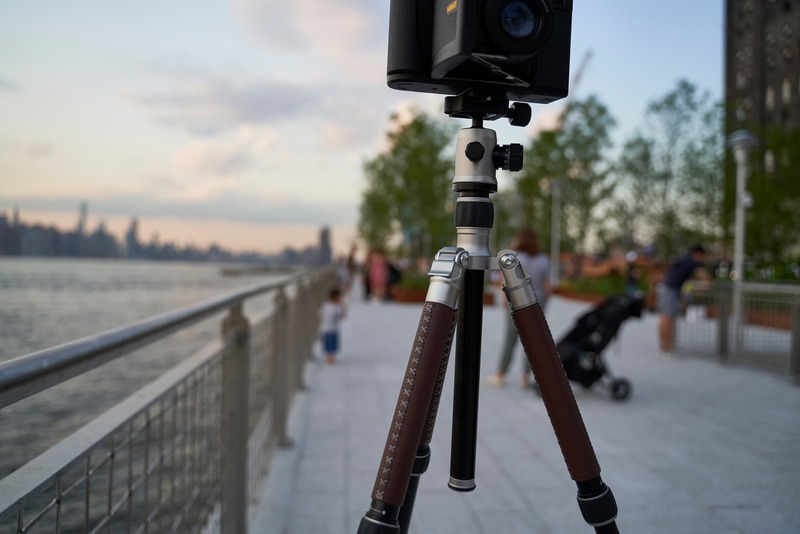 With a maximum height of 56.6 inches, and with a ball head that’s really easy to use, you’ll have no problems using this tripod to compose gorgeous images. The included ball head is quite nice and features a two-way locking system to make sure your camera stays nice and secure. The knobs turn easily and feel nice to use. The plate that’s included is nice too, and features an arrow that shows you which way the lens goes. It may not sound like much, but little details like this can go a long way when it comes to the user experience. When you’re ready to pack up and leave your shoot, the tripod can fold up to a compact 15.75 inches. 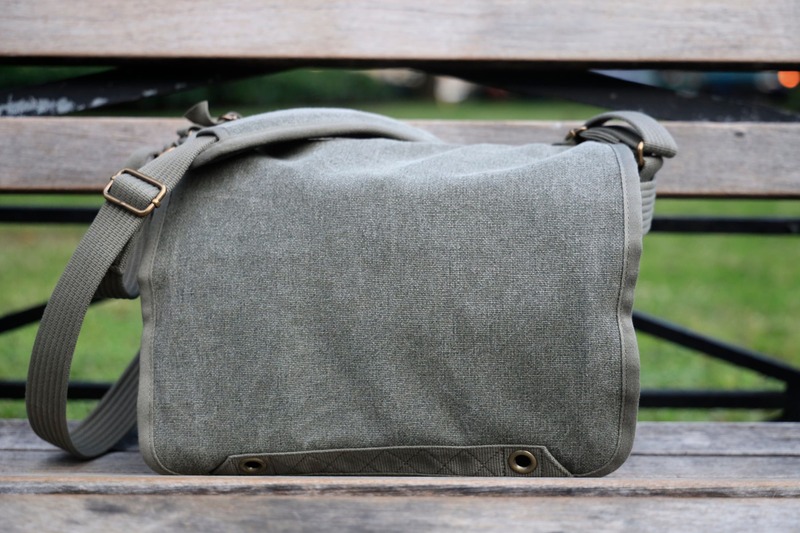 This makes carrying it around very easy, and you’ll have no problems carrying this around on the side of a camera bag. The Manfrotto BeFree Travel tripod may not feature as many bells and whistles as some tripods on the market, but the job it needs to do, it does very well. For under $200 you’ll be getting a sturdy, reliable tripod from a big name manufacturer who stands behind their tripods. If you want to create beautiful images with perfect composition, check out the BeFree from Manfrotto. It’s one of the best tripods for under $200. Pro Tip: Always losing your tripods plate? You should consider using a L Bracket. These brackets attach to your camera and they make it so much easier to attach the camera to a tripod. Just slip the bracket onto the head and tighten it up. 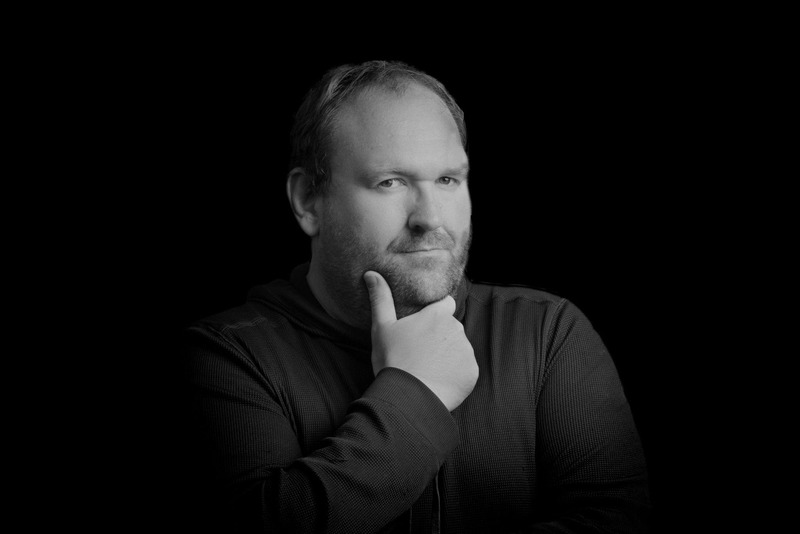 You can change between portrait and landscape orientations in a breeze too. These universal L Brackets work with just about any camera. Tripods and luxury aren’t words that go together very often, but in the case of the MeFoto Roadtrip, that’s exactly the word that we would use to describe it. 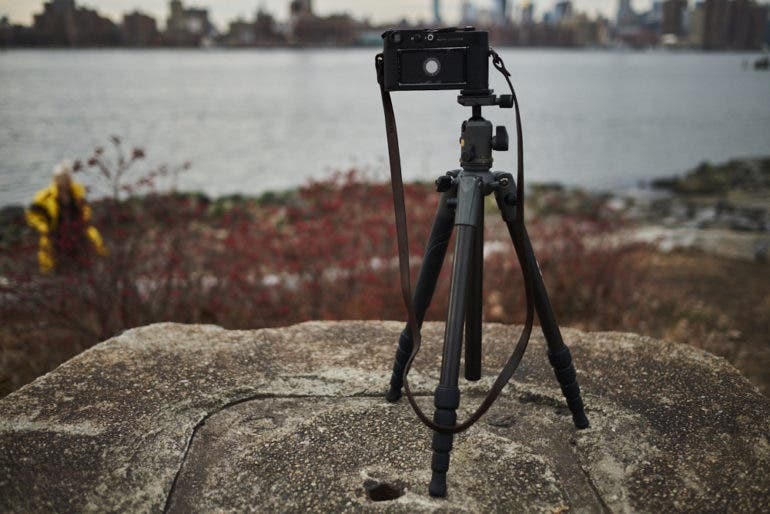 If you’re in need of a tripod that’s ultra reliable, and stunning to look at and hold, the Roadtrip from MeFoto should be on your radar. The most important aspects of any tripod is of course it’s stability, and it’s ability to hold your gear securely, but let’s talk about how this tripod looks for just a second. MeFOTO have done everything they can to elevate the Roadtrip above its competitors, and by wrapping the top of the aluminum legs in beautiful hand stitched Italian leather, I would say they’ve done a good job. There’s actually a good reason for the leather aside from the aesthetic side of things. A lot of tripods are quite slippery, especially in wet weather, but the leather on the legs gives you a solid place to grip the tripod. This non slip surface can really be a life saver in less then pleasant weather conditions. 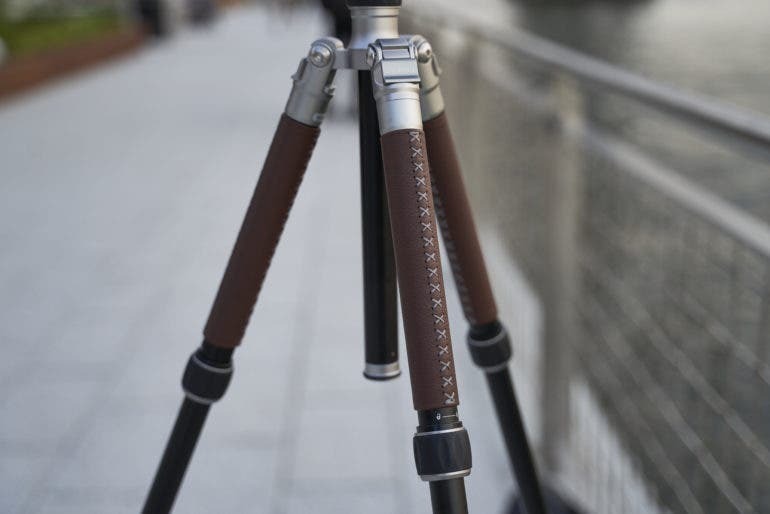 The MeFOTO Roadtrip is one of the heavier tripods out there, so there is a price to pay for that gorgeous leather. The MeFoto Roadtrip weighs 3.7lbs, but you’re be getting very sturdy tripod that can hold 17.6lbs of equipment. You can mount a Full Frame camera, or a Medium Format camera with the heaviest lens you have on this tripod, and you won’t even be close to overloading it. When fully extended the Roadtrip reaches a height of 61.8 inches, and at its smallest it’s 15.6 inches. The Roadtrip is quick to deploy thanks to the twist locks on the legs, and overall the tripod is easy to use. The Q1 triple action ball head uses an Arca Swiss style plate. The controls are well laid out, are pleasant to use, and they give you nice control over drag, panning and friction control. 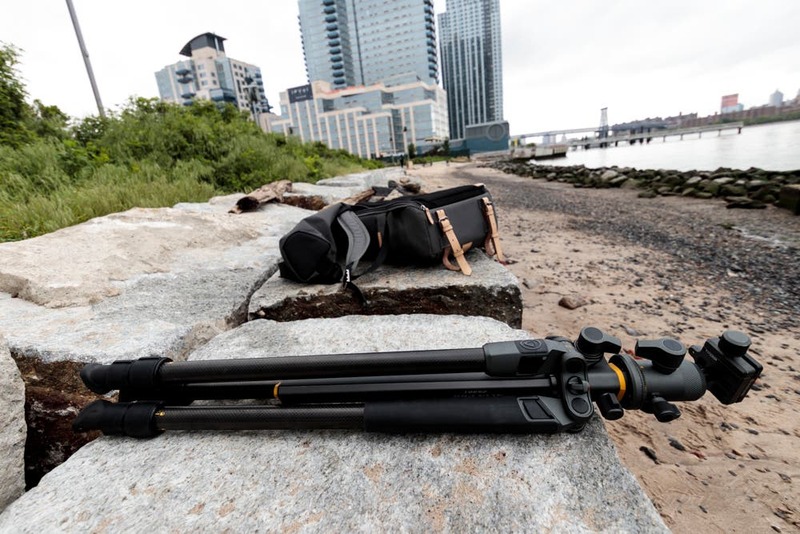 The MeFOTO Roadtrip can quickly convert into a monopod as well thanks to it’s unique design. For under $200 you’re going to be getting one of the most stylish, sturdy tripods in this price range. It really feels and operates like it should cost a whole lot more. If you want to take your photography to a new level, and want to look good doing it, this is one of the tripods you’ll want to take a closer look at. 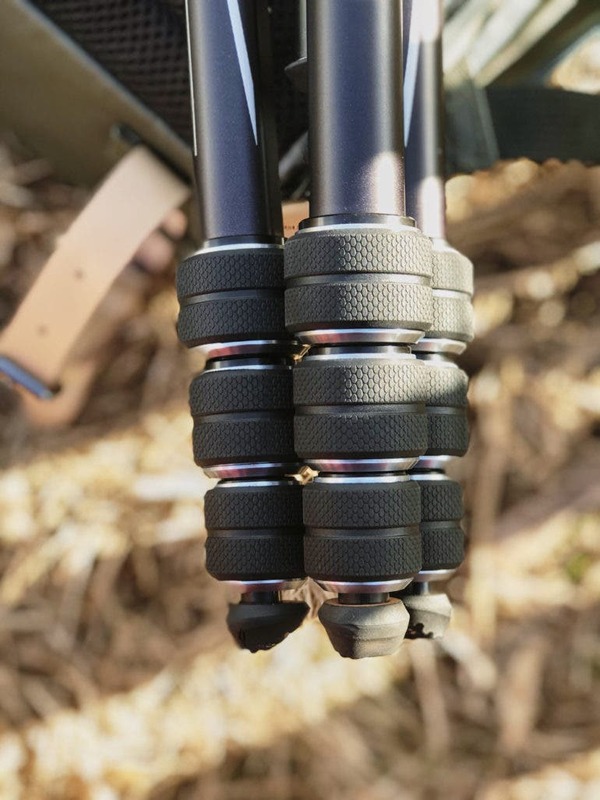 Pro Tip: To add some extra stability to your tripod your’re going to want to hang some extra weight from the hook at the bottom of the center column. These sand bags do a great job at providing some extra weight. Simply fill them up and then attach the bag to the hook with the provided clip. The wind won’t be an issue for you any more when you use your tripod,. The fact that another one of Vanguard’s tripods has made this list is testament to just how good they are. The Vanguard VEO 2 235 CB is a lightweight tripod that could well be the perfect tripod for you. 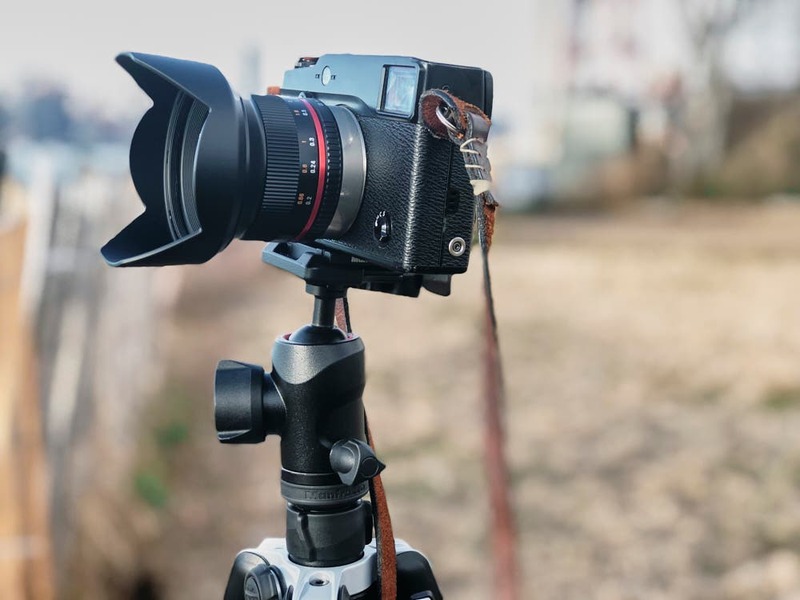 For under $200 you’ll be getting a very lightweight, carbon fiber tripod that is incredibly sturdy, and it comes with a ball head that offers all the controls that a photographer could ever need or want. All of the other tripods on this list tip the scales at 3lbs or more, but this Vanguard tripod is different. If you like to travel light you’ll be thrilled to hear that this tripod weighs in at just 2.63lbs. Tripods that are easier to carry around are tripods that will likely be used much more. 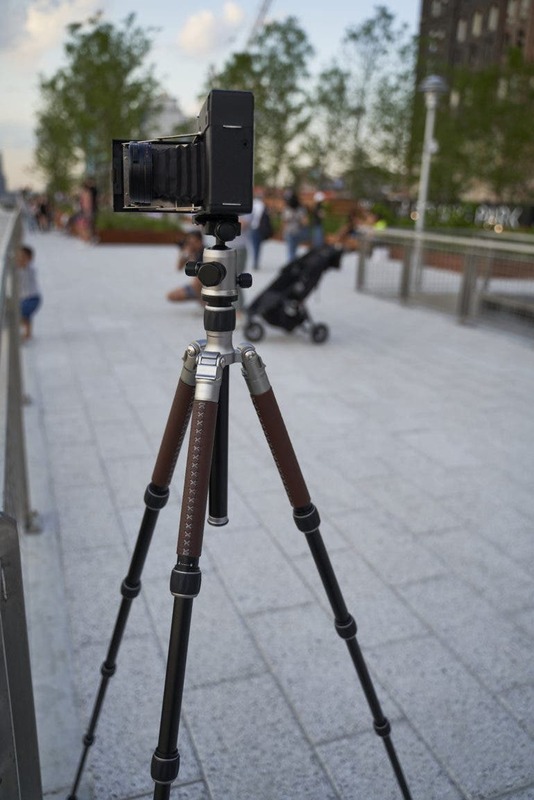 Given its light weight, it’s surprising just how much weight this tripod can hold. The Vanguard VEO 2 235CB can hold up to 13.2lbs worth of equipment. When using it, you can be safe in the knowledge that this tripod will support the weight of a Full Frame camera and a heavy lens with ease. 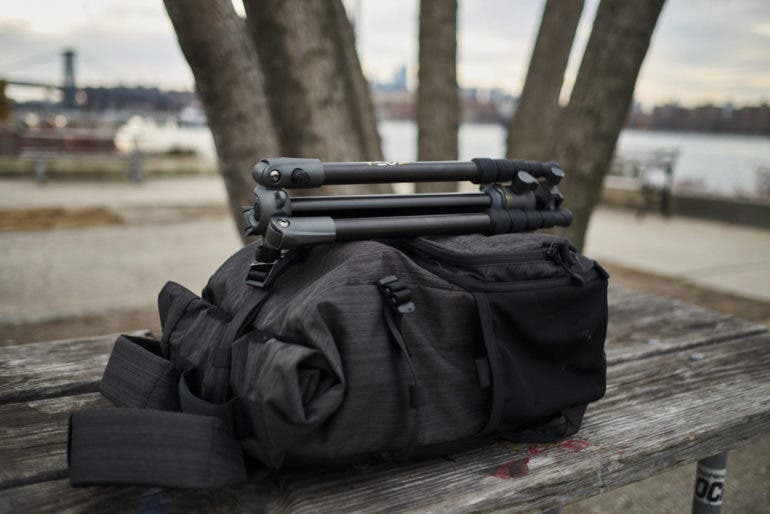 Not only is the tripod light, it also folds down in to a small, easy to travel with package too. When collapsed the tripod is just 15.87 inches long. When unfolded the VEO 2 has a maximum height of 57.1 inches which is more than enough height for most users. Tripods that are easy to use are vital as well. Nobody wants to be fussing with a tripod that takes an age to setup. The great news is that the Vanguard Veo 2 is very easy to use. The rubber twist locks are easy to use, and give the user finer control than latches do. The legs deploy quickly. and they feel as solid when they’re planted on the ground. The VEO BH-50 ball head is easy to use too. While it might not win any awards for it’s design, it does offer smooth control, and has controls for panning and pivoting. The built in bubble level is easy to see and read as well. Have you noticed a theme here? Everything about this tripod makes it easy to use. It’s simple design, it’s sturdy frame, and it’s ability to hold and secure an impressive amount of gear for under $200, makes this one of the must have tripods for those who want better composed images.